Most people have (understandably) a very ominous reaction to the mention of guns. Makes sense, doesn’t it? But not all people who carry guns are criminals, and our laws provide for the right to own and carry a gun. The right to own guns and bear arms has been debated intensively for many, many years, across the United States. The National Rifle Association (NRA) and gun owners have argued for years that the Second Amendment to the United States Constitution guarantees the right to own and bear arms. Gun opponents and anti-crime advocates have argued that handguns and similar weapons should be made far more illegal than they presently are. The NRA’s well-known phrase “Guns Don’t Kill People; People Kill People” is a line that has become familiar to most people these days – and hotly debated. As a threshold issue, on a constitutional level it’s important to establish that it has been held by the U.S. Supreme Court that the Second Amendment does indeed protect an individual’s right to “possess a firearm unconnected with service in a militia, and to use that arm for traditionally lawful purposes, such as self-defense within the home." District of Columbia v. Heller, 554 US 32, 128 S. Ct. 2783 (June 26, 2008). This central issue needs to be addressed and resolved here, up-front. Now that this issue is out of the way, let’s discuss some important points in this area of Massachusetts law. It’s important to begin with a few facts: Fact #1) Many people who end up in court on gun and firearms violations, are not violent, career criminals. Many are gun collectors, gun enthusiasts, hunters, or, understandably, people wish to own a gun for self-protection. Most of my clients facing these offenses have been ordinary, non-violent people who unintentionally strayed afoul of the extremely complicated, intricate laws governing firearms in Massachusetts. Others have simply been in the wrong place at the wrong time. Example: A person might have been present, as a passenger, in a car driven by a friend. Suddenly the car is stopped by police and searched, and the passenger learns that a gun was present in the car, without his knowledge. Immediately, that passenger could be charged with “possession” of a firearm – and would be in deep legal trouble in Massachusetts. Here is Fact #2: Despite the fact that most people facing firearms violations are not career or violent criminals, in Massachusetts, if you are accused of illegally carrying a gun or unlawful weapon, you are in serious trouble. District Attorneys’ offices in Massachusetts prosecute these offenses very aggressively, especially in Suffolk County (Boston) and high-crime, urban areas. While the stakes are always high in any criminal matter, the stakes in a gun or unlawful weapons possession cases are magnified enormously. Pick up the paper almost any day, and you’ll see why: Violent crimes committed with a gun or other weapon are on the rise, and the courts respond to this threat very seriously – there’s no “messing around” with these cases. Massachusetts law provides for mandatory minimum sentences for unlawful gun and weapons possession convictions. I’ve blogged many times before about how unwise and unproductive I feel mandatory sentencing is as a public policy, but it’s still law in Massachusetts for several weapons offenses, so these cases present enormous prison risks for those accused of these crimes. A person convicted of possessing an illegal gun outside of their home faces a mandatory one year jail sentence. More so, if you are committing another crime not involving a weapon (say, something as minor as shoplifting,) and you are found with a concealed weapon at the time of that offense, the underlying crime and punishment all become much more severe. If you are convicted of concealing an illegal weapon, any licenses that you may have for legal weapons will almost certainly be revoked. Not only does the presence of mandatory sentencing pose an enormous sentencing risk on the back end of a case (once a verdict is delivered,) but it vastly complicates the front end of the case (i.e., the beginning,) because it almost always eliminates the possibility of negotiating a plea bargain with a prosecutor or judge. Personal lives, careers and reputations can be decimated if a weapons charge results in a mandatory prison sentence. If you or someone you know has been charged with a gun, firearms or weapons violation, and you aren’t represented by top-flight legal talent who knows intimately what he or she is doing, you’ll find yourself in big trouble, very fast. We know Massachusetts firearms laws inside and out, and we know how to defend these cases aggressively and very effectively. First, when we represent a client, nothing is done “cookie-cutter”; nothing is left to chance (not uncommon in large law firms). We will customize your defense to the precise circumstances of your arrest and case. But to start with, we’ll focus on federal and state constitutional issues, such as the laws governing search and seizure. We work with the best private investigators in the field, and we utilize those investigators, and other experts, to determine whether procedural improprieties and illegalities occurred when police made an arrest. Critically, we will move to immediately file key motions to suppress evidence when we feel that any evidence was impermissibly obtained. Was the gun discovered by the police as a result of an illegal search? Was the gun examined as required by a ballistics expert to ensure that it meets the statutorily-required definition of a “gun” or “firearm,”? Was the weapon loaded with ammunition? Was it in plain view? Was a proper search warrant obtained before the seizure? Did the police have probable cause to search you, your car, or your home when they found the firearm? If any illegalities occurred in these and other important legal areas, we’ve very often been able to suppress key prosecution evidence from being admitted. The result of this strategy is that the charges and penalties are often drastically reduced. If you have been charged with Massachusetts gun or weapons violations, your lawyer needs to be an expert in this field. That’s where we stand above other law firms. We’ve been at both sides of the table on gun & weapons cases: Prosecution and defense. We know what the prosecution is going to do, before they even do it. The result? The best results anyone can ask for, in any given case. We’re known for the expert knowledge we have of Massachusetts and federal gun control laws. We’re also known as lawyers who get (pardon the expression, because it’s so inaccurate,) “big firm results” without charging you six-figure fees. (If you learn one thing here, learn this: The chief thing that a large law firm will deliver to you, is a large bill.) Since we’re former prosecutors ourselves, we know how to plea bargain and obtain favorable sentencing alternatives. Don’t make a critical mistake in your choice of lawyer, if you’ve been charged with a Massachusetts gun offense, or other weapons offense. The quicker you get the right lawyer standing in front of you, the better off you’re going to be. Massachusetts gun laws are complicated, and as I said above, judges are not inclined to show leniency where guns are involved. Don’t make a mistake: Call us first. We can help you a great deal. Below are some selected Massachusetts Firearms and Weapons Laws, providing statutory references to common firearms and weapons violations. The broadest of these is M.G.L. c. 140, s. 131 - the Massachusetts Firearms Licensing Statute. This law disqualifies certain people from being granted a firearms license. Persons who have criminal records that contain convictions for felonies, misdemeanors that are punishable by more than two years in jail, violent crimes, firearms violations, or violations of the drug laws are automatically prohibited from being granted a Massachusetts gun license. Convictions received in Massachusetts and out of state both operate to disqualify an applicant. M.G.L. c.269, s.10: Carrying dangerous weapons; possession of machine gun or sawed-off shotguns; possession of large capacity weapon or large capacity ammunition-feeding device; Subsection (j) also prohibits carrying a weapon on the grounds of a school or university. The current version of the Massachusetts gun law states several different requirements and prohibitions. Centrally, anyone owning a “firearm” in Massachusetts must possess a valid Firearms License (a Firearms ID Card, or “FID.”) FID’s are issued by local Police Departments, which conduct a required background check on anyone applying for such a permit. The application process is fairly extensive, providing for a review of several state and federal criminal history records checks. All applications for individual firearms licenses pursuant to M.G. L. c. 140, Sec. 131 must either be approved or denied in writing within forty (40) days of the submission of the application. Applications may be denied by a local Police Chief for a variety of enumerated and codified reasons, or, in the absence of an enumerated reason, if the Chief of Police makes a determination that the applicant is not “suitable person to be issued such license.” Applicants who are denied a firearms license (“FID Card”) may appeal the decision of the licensing authority (usually the Chief of the local Police Department) to a judge of the District Court having jurisdiction over the city or town where the application was filed. Possession of stolen guns, defective guns and certain categories of assault weapons are illegal. This is just a partial list of Massachusetts laws governing guns and firearms. In addition to these Massachusetts laws, federal laws and regulations exist that further regulate and impact gun possession, particularly in the areas of immigration and domestic violence. The interaction of Massachusetts and federal gun control laws is extremely complex. The attorney you hire needs to be extremely experienced, or you will find yourself in a lot of even worse trouble than you found yourself in to begin with. Very briefly, let’s examine some important definitions in this area of Massachusetts law. An example: What is a “gun”? I’d bet you think you can provide what you think is the obvious answer. I’d also bet you’d be wrong. Some hypothetical examples: Is a BB gun a “gun” for purposes of prosecuting a Massachusetts firearms offense? Is a pistol without any ammunition a “gun” for the same purpose? 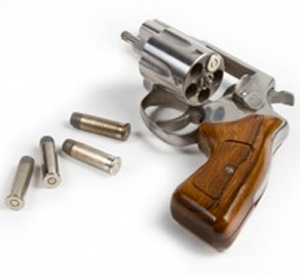 What is the difference between a pistol and a revolver? What is “ammunition?” Is a hunting rifle a “weapon” if it’s intended only for hunting? What is needed for someone to legally possess a “weapon” in Massachusetts? What does “possessing” or “carrying” a weapon mean? Is Mace a “weapon”? If someone used a toy gun to commit a crime (such as robbery) would that toy qualify as a “gun” under those circumstances, allowing the Commonwealth to prosecute the defendant for a weapons violation? These aren’t just academic questions. With good reason, there are certain definitions of what constitutes each class and category of enumerated weapons offenses in Massachusetts. It would be very difficult to examine and explain the intricacies of the entire scope of Massachusetts and federal laws relating to firearms and weapons on this website. It’s important to remember that what’s discussed here, is just a very general breakdown. But yes, to answer one hypothetical question a couple of paragraphs above, if someone used a toy cap gun to commit a crime (such as rob a bank or an individual,) that toy could be considered a “gun” for purposes of prosecution, if the toy otherwise appeared to be real, and the intent of the person using it was to commit a crime. Massachusetts law makes it unlawful to possess a fake or imitation handgun, if the intent in so possessing that “gun” was to commit a crime or otherwise use that item illegally. If you or someone you care about has been arrested on a Massachusetts gun or firearms charge, you have a critical decision to make about hiring an attorney. Make the wrong choice, and you could end up in even more trouble than you started with. Don’t be foolish: Don’t hire an attorney who handles these types of cases “now and again.” Don’t “shop” this case based on the lowest fee – in law as well as in life, you’ll get what you pay for. Contact us. We’re experts in this area of law. We’re reasonable in our fees. And we’re the people who can get you out of this trouble. From arrest, to indictment, to pre-trial investigation, to plea negotiations, to trial and post-trial motions, you will see first-hand the results we have a reputation for producing. With a firm that has a name like Kickham, you know William D. Kickham knows how to fight. Hundreds of Massachusetts Gun Owners May Lose Licenses To Carry Due to Federal Agency Leave it to the federal government to complicate everyday life beyond reason, to make the simple difficult, to make that which should be easy, hard.